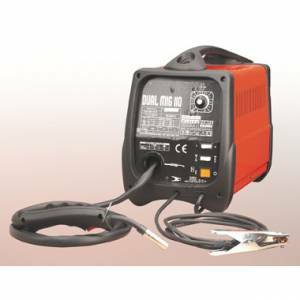 A 120amp dual purpose mig welder from Draper offering gas and no-gas welding of 4mm mild steel using 0.6 or 0.8mm solid mig wire or 0.9mm flux cored wire on spools of up to 5kg. The wire feed has fully variable speed control. The welding torch is non-live to avoid arc eye and this machine is turbo fan cooled with complete thermal overload protection. Include accessories: 0.9mm flux wire spool, gas hose (normally bought separate when buying a no gas welder) and face safety shield.